The G-20 summit is traditionally one of the most iconic world events, to which everyone’s attention is riveted. From November 30 to December 1, this global forum will be held in the capital of Argentina - Buenos Aires. However, the main themes are obvious to all. This is the definition of the vectors of world politics, the topic of oil prices and Saudi Arabia, the problem of global disarmament, and, of course, the relations between Russia and the United States. The summit promises to be intense in view of the latest world events, the discussion of which will take place in one place and at the same time. And although US President Donald Trump publicly allowed the cancellation of the meeting with Vladimir Putin, it still remains perhaps the most long-awaited event of the forum. What is the agenda of the leaders coming to the negotiations, and what is the chance to reach an agreement? The last time Putin and Trump met in the capital of Finland on July 16 of this year, and it was the first full-format meeting of leaders. The focus of this meeting was the subject of alleged Russian intervention in the US presidential election. Trump was expected in his homeland that he would call the Russian leader to the answer for these alleged sins. However, everything turned out differently. Trump has even publicly admitted that he will have to deal with the topic of “Russian intervention” and did not argue with Putin, for which he was severely criticized in the United States. The head of the White House also said that he considers Putin his rival and sees it as a “compliment” for himself. In the political plane, breakthroughs did not happen: both leaders called the meeting very useful, and Trump separately positively assessed Moscow’s readiness to work with the United States on North Korean issues. After the talks, Putin said that he gave Trump a note on proposals for nuclear disarmament. On the whole, the meeting was of a declarative and framework character, as it was generally the first full-fledged bilateral meeting between Putin and Trump. In international diplomatic practice, it is generally accepted that the meeting was successful if, following its results, a joint declaration was adopted. Approval of the declaration means that the parties have reached an agreement or understanding on at least one of the agenda items. Following the results of Helsinki, the Russian delegation offered the United States to confirm agreement with four treaties: the Open Skies Treaty, the 2011 Vienna Agreement on Strengthening Security, and the Treaty on the Reduction of Offensive Arms (INF Treaty) and the Treaty on Medium and Small-Range Missiles (New START). Washington rejected this offer. It is now obvious why the United States did not want to confirm its commitment. At least two of the documents indicated in this list were threatened with a break, and it was at the initiative of Washington. Therefore, the G20 summit in Argentina for Putin and Trump will inevitably be an echo of the Helsinki meeting, but the issues for discussion have become much more. Almost on the eve of the summit, a Ukrainian provocation took place in the Kerch Strait, where three Ukrainian vessels were detained for violating the state border of Russia. The very next day, Trump publicly admitted that this could be the reason for canceling his bilateral meeting at the G20. However, the American president did not put the blame for the incident on Russia, saying simply that he "does not like this aggression." Trump promised to sort out what happened. Russia and the United States also approach the G-20 summit with escalating US-led security controversies. Earlier, Trump announced his intention to break the INF Treaty, arguing that Russia allegedly did not comply with its conditions. Putin then denied this and noted that the next step by the United States is likely to be the withdrawal from the New START Treaty. So it happened. On November 28, a document banning the extension of the START Treaty with Russia was submitted to the US Congress. Without a doubt, the world security system, due to the fault of Washington, is literally falling apart before our eyes, and this cannot but become another topic on the agenda of the meeting between Putin and Trump on the G20. As Kommersant reported on Thursday with reference to its own sources, there are only three issues on the agenda that has been agreed upon at the moment: the INF Treaty, the situation in Syria and the price of oil. There is no doubt that discussion and the START-3 treaty and Ukrainian provocation will be added to these topics. Russia also intends to include on the agenda the launch of the work of the Russian-American group on cyber security, the creation of which Putin and Trump agreed on in July 2017. Moscow can also offer to discuss the topic of stimulating contacts in the field of business, culture and science. Finally, there should be a discussion on the topic of delivering humanitarian aid to Syria: who, how and in what amounts will do it, and how much Moscow and Washington are ready to allocate for restoring the infrastructure of the Arab Republic. Experts also note that Washington will again try to include on the agenda the topic of “Russian interference in elections,” even if it is against the will of Trump himself. The American leader himself is now too concerned about his own rating to, at least publicly, refuse to discuss this completely unpromising topic with Putin. 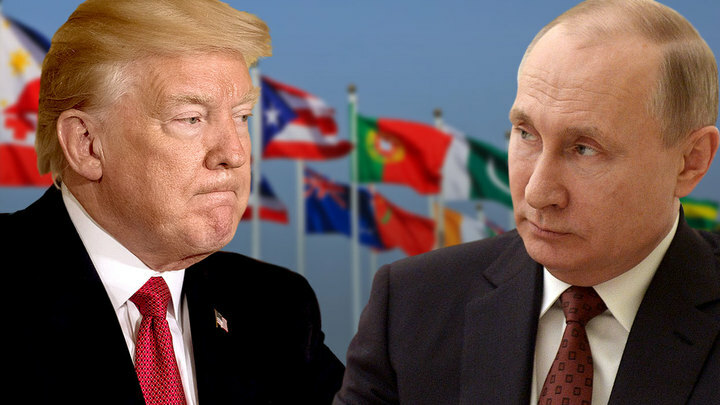 In general, the expert community believes that the meeting between Putin and Trump at the G20 will be extremely important, but it will not mean the achievement of some fundamentally new agreements between the US and Russia. The agenda of the two world leaders, Putin and Trump, is very broad. It should focus on the non-proliferation of nuclear weapons, on the potential US withdrawal from the INF Treaty and the arms race itself. One of the important topics will also be the issue of migration. An important point will be the discussion of the situation in the global economy. The leaders will discuss the economy in the context of sanctions and the fall in the value of the dollar in interstate settlements. At the same time, the usual question of “Russian interference” in the American elections, on the contrary, will lose relevance. For Trump, the topic of Russian intervention is toxic. This topic is used by Trump's opponents. If he will somehow touch it at a meeting with Putin, it’s rather in the context of a request to Vladimir Vladimirovich to give additional information reasons to state that there really wasn’t any interference. Unfortunately, the situation is such that there can be no sensations. Sanctions will not be removed from Russia, Trump will not announce that Russia is the best friend and partner. But what can be expected is the additional improvement of relations between the heads of two states, as well as some reduction in tensions in relations. Thus, several things are obvious. First, the provocation of the Ukrainian president, Petro Poroshenko in the Kerch Strait, nevertheless failed to achieve the goal and was unable to completely destroy the relationship between Russia and the United States. Secondly, the leaders will not leave the topic of global security, because the arsenals of the two countries are the largest in the world. Finally, the world is becoming truly multipolar, and Russia is setting an example of de-dollarisation to other countries. Donald Trump, who has always put economic hegemony at the top of his agenda, will have something to talk about with Vladimir Putin on this issue.